Found this nice set of calligraphy vectors. The one in the middle has beautiful bird flourishes on the corners. Some of these curly swirly free vectors would make for a great cartouche. The download comes courtesy of Creative Alys. 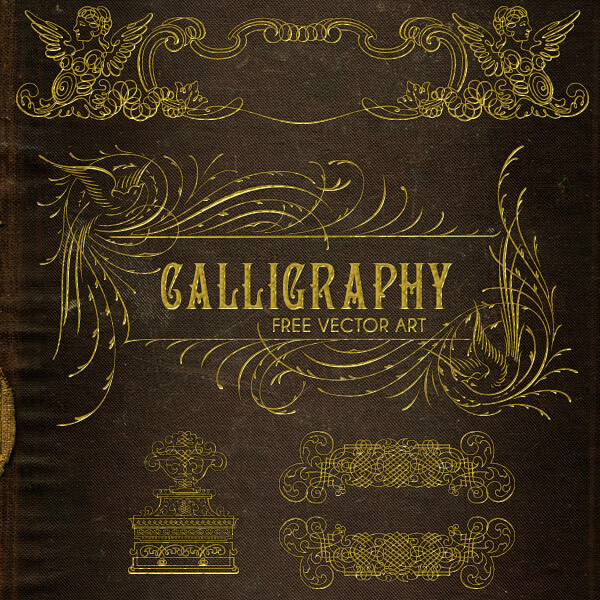 I’ve provided the vectors in both EPS and Illustrator PDF formats. Calligraphy is so dainty and elegant! These are gorgeous! The top one would make a nice page or blog header. Thank you!